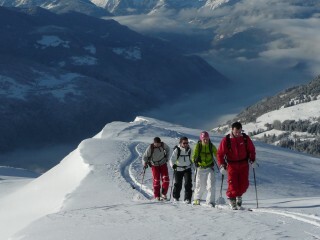 Ski touring is practiced in Peisey-Vallandry since the beginnings of winter tourism. The offer of courses, at the door of the Vanoise national park is very varied. We propose you two courses where you will be able to initiate you freely. It is a free ski company based in Switzerland that approaches the mountain with an ethics similar to ours: respect for the natural environment, especially wintering areas for wildlife. You will find Movement equipment at the 5 INTERSPORT stores in the valley. 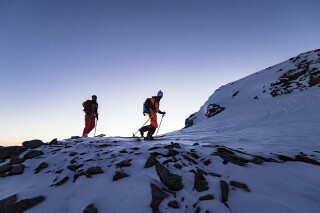 supports educational action on the impact of ski-hikers on the wilderness. which professionals know perfectly the courses and which offer animations on ski touring in front of snow. ADS : THE SKI LIFTS COMPANY,owner of the ski area Les Arcs-Peisey-Vallandry, which you will consult the slopes services and maybe take the tracks down. Good ski ! Enjoy your discovery.